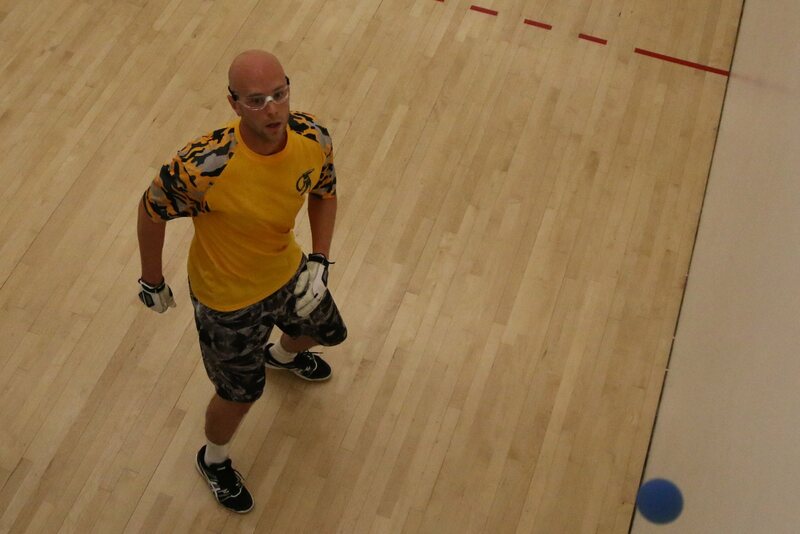 Three of the Race 4 Eight’s top four pros entered the 2015 Milwaukee Open at the Wisconsin Athletic Club in West Allis, WI for the annual early December Midwest showdown. Joining top four R48 pros Sean Lenning, Luis Moreno and Emmett Peixoto in the Milwaukee Open field was 2015 NYAC Race 4 Eight Cinderella Story and two-time Race 4 Eight Elite 8 member Andy Nett, as well as the current WPH Race 4 Eight Rookie of the Year Daniel Cordova, WPH R48’s #15 and cross over star Jonathan Iglesias and local favorite and WPH R48 #18 Anthony Selestow. Top collegiate and open players Billy O’Donnell, Blake Selestow, Kyle Kloss, Bill Mehilos, Dave Munson, Tyler Stoffel, Jeff Streibig and Dane Szatkowski rounded out the stellar field. Luis Moreno entered the 2015 Milwaukee Open as the defending champion, having defeated Emmett Peixoto in a thrilling 11-10 tiebreaker in the 2014 Milwaukee Open final. 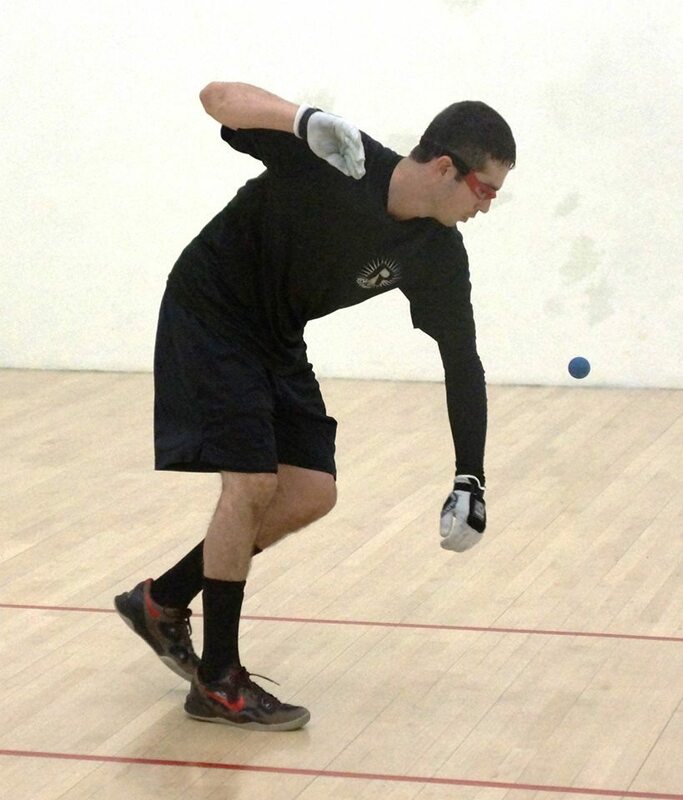 Moreno cruised to the 2015 final, dispatching of his R48 IV NYAC vanquisher Andy Nett in a lopsided two-game semifinal. Sean Lenning defeated Emmett Peixoto for the fifth consecutive time since July to setup a finals clash with Moreno. Sean Lenning had not defeated Luis Moreno in six Race 4 Eight matches between 2011-2014, but snapped his losing streak to “The Natural” with an emphatic two-game victory at January’s R48 IV Houston. Moreno defeated Lenning in the final of the 2015 Plummer Bash Pre-Race V Stop #2 10 months after Houston, dropping game one and scoring 28 of the next 29 points of the match to cruise to victory. Just as he had in their previous encounter in the early October Plummer final, Lenning built a huge game one lead in the final before Moreno roared back, cutting a 10-point deficit to 16-18. Although appearing to be fatigued, Lenning closed out game one with three straight points by serving hard power serves to Moreno’s left. “This is a battle,” exclaimed Milwaukee Open host and Team R48 reporter Anthony Selestow. Despite losing game one, Moreno seized the momentum in game one’s second half and maintained the momentum in game two with a dominating power serve and controlling the frontcourt, building a 10-1 lead in just six minutes. Moreno continued to apply pressure, needing just eight more minutes to even the match and force a tiebreaker. Moreno started quickly in the tiebreaker, hitting crisp pass shots and keeping Lenning off-balance. With Lenning scrambling in the backcourt and Moreno in control in the front, “The Natural” built a commanding 6-1 lead. Lenning fought back, finding his serve and kill to score three of the next four points to cut the Moreno lead to 4-7. A timeout allowed Moreno to regain his form, scoring two of the next four points to take a 9-6 lead, just two points from the title. Moreno scored the final two points to retain his Milwaukee Open title, 16-21, 21-4, 11-6. Luis Moreno also captured the doubles, teaming with R48 #4 Emmett Peixoto to defeat Sean Lenning and two-time WPH Yellow Jersey Winner Nik Nahorniak, 21-13, 21-16.